This nickel plated paperweight features a stylish dial that assists in telling the time all over the world. 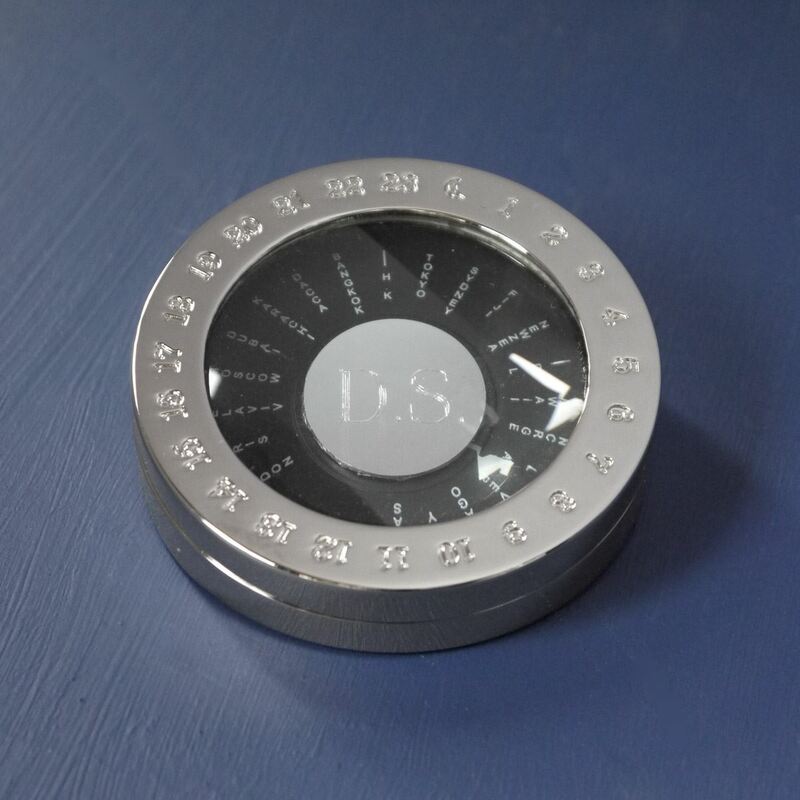 The glass finish can also be removed for use as a magnifying glass making the perfect gift for the travelling businessman or woman. 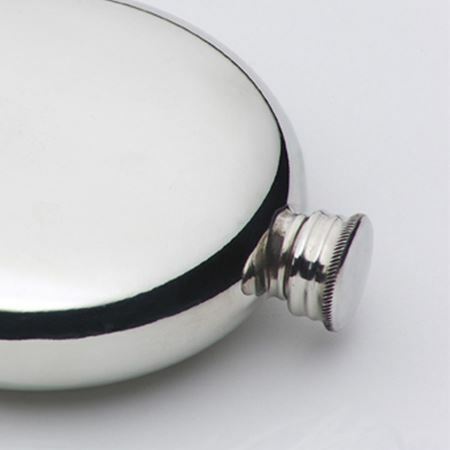 Polished pewter water tumblers in a smooth finish, standing 7.5cm high. They look stunning with a large single engraved initial. Also available with a gilt interior. If you are interested in an engraved logo, please contact our sales team on 01892 752211 or email sales@inkerman.co.uk We recommend that these beakers are hand washed rather than cleaned in a dishwasher. 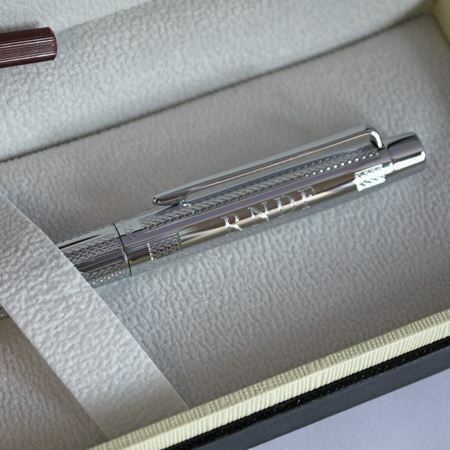 The ideal gift for ladies or men, 18th or 21st presents, birthdays or anniversaries also available in the Moorgate collection is a fountain pen, rollerball pen and pencil. Made in England these leather notebooks with elastic fastener are made in recycled leather with cut edges and 100 pages of quality, lined paper. These notebooks can be embossed with company logos and city skylines and for quantities of 100+ can be made to colour match pantones. 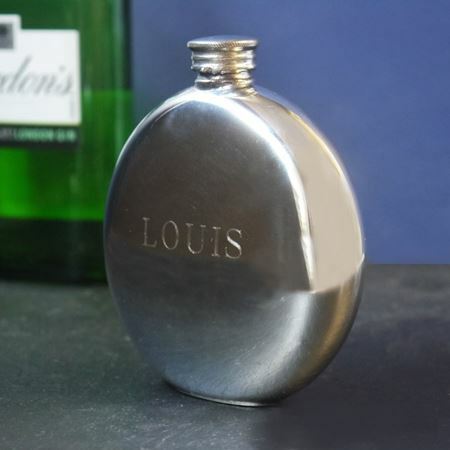 This flask is handmade by pewterers based in Sheffield and makes a lovely gentlemen's gift, measuring 9.5cms in diameter and 6oz in capacity. 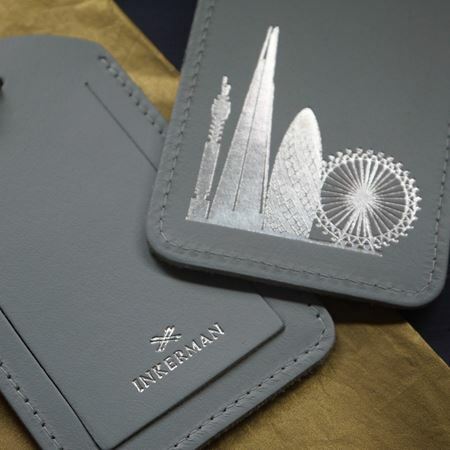 The smooth surface is perfect for engraving with wording, an image or corporate logo to create a truly unique and personal present.